We all need a mediator. We have broken God’s holy laws, and so are sinners, cut off from God and needing a Saviour and mediator. 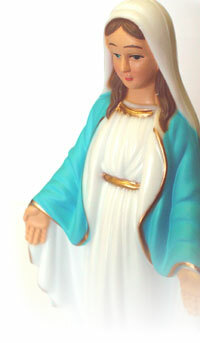 Nowhere in the Bible does it say that Mary is a mediator or that she approaches Jesus on our behalf. We cannot reach God through the mother of the Lord Jesus Christ. In fact, the Bible says that Jesus is our mediator with God. We can go directly to Jesus. see 1 Timothy 2:5 & 6 and Hebrews 12:24. Have you trusted in Jesus Christ for salvation?